It can’t be overemphasized enough, synthetic drugs are both dangerous and deadly. All across the country people continue to put their life at risk by experimenting with synthetic marijuana, “bath salts” and the like. And, strangely, at this point it seems hard to believe that people do not know the risks, considering the string of horrific news stories linked to the use of these types of drugs. In fact, nearly two dozen people in downtown St. Louis were treated for synthetic drug overdoses earlier this week, KTVI reports. The majority of (18 of the 23) overdoses involved K2, one of the more common names branded on the packaging of synthetic marijuana. 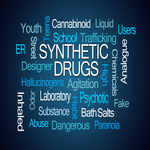 People who have used, or are considering experimenting with synthetic drugs of any kind, should be aware that there is no way of predicting how the chemicals will affect you. Rarely is an experience the same as the time before, because chemists are constantly altering the chemicals that you are smoking or ingesting. Such drugs can also be habit forming, requiring addiction treatment. If you are struggling with synthetic drugs, please contact Hope by The Sea, as soon as possible.